While several people already have Windows 10 installed, my computer didn’t offer me that possibility yet. Searching on the Internet, I found several sites explaining how to force Windows update to download and install Windows 10 but none of these descriptions worked for me. I found out that one step was missing in my case: automatic installation of updates. My Windows Update was set up to automatically download updates but I chose the time of installation. 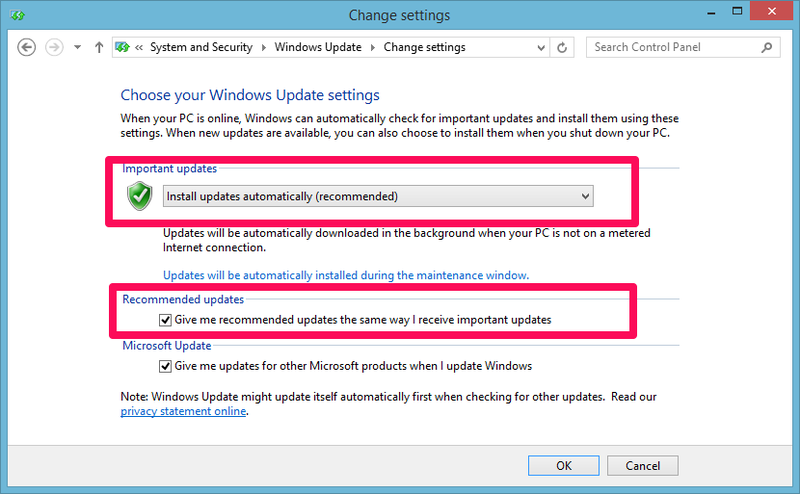 Make sure the selection menu under “Important Updates” says “Install updates automatically”, and make sure that under Recommended updates, the “Give me recommended updates the same way I receive important updates” option is checked. In the Windows Update window, click “Check for updates” on the left hand side. At this point, Windows Update started to download Windows 10. However, after installation and preparing setup, the update failed and I ran into error 80240020 – which is quite known, so it seems. So I followed these steps to remove all downloaded files and re-downloaded everything.